Last week, GamesIndustry International spoke to FIFA 14 producer Nick Channon, Madden 25 line producer Seann Graddy, and NBA 2K14 senior producer Rob Jones about the difficulties of releasing big-budget sports games every year. This week, we're talking with them about developing these titles in a console transition year. Sports games tend to have a wide set of release platforms, but that list has gotten larger with the Xbox One and PlayStation 4. We asked all three developers if their teams worked with a set of lead platforms in mind during development, but Channon and Graddy said that's an antiquated idea nowadays. "We don't have a lead platform," said Channon. "I don't think we have for many years. You look at the PlayStation 3 and Xbox 360, we didn't have a lead platform there. We've done a good job in the past in looking at the different platforms; if we feel it complements and improves our game, we will add features. Look at the Xbox 360. They introduced Kinect and we did some features that we felt would enhance our game, like doing substitutions and tactics through voice." "We have quite a bit of shared code that allows us to develop with the right sized team and prevent expenses from getting out of control," added Graddy. The team at Visual Concepts took a different path from the EA Sports label; Jones told us that next-gen was indeed their focus during the development of NBA 2K14. He stressed that current-generation versions of NBA 2K14 were still up to snuff. "Next-gen was the primary focus of the company," he explained. "However, given the success of current-gen, internally we weren't going to be satisfied shipping something that didn't feel like a year's worth of effort. Next-gen was the main focus in terms of any feature that was being built on the gameplay side. There's nothing we were building only for current-gen from a gameplay standpoint." "Next-gen was the primary focus of the company. Next-gen was the main focus in terms of any feature that was being built on the gameplay side"
2K Sports and EA Sports work with a shared pool of developers across all platforms. Graddy said the Madden 25 team was working "equally across all the different consoles," but that there were a few "specialized resources" working with the new hardware. For Jones and the Visual Concepts team, most of the development was front-loaded towards current generation systems until the PS4 and Xbox One hardware specs were settled. Even then, they still had "key people" working on next-gen development efforts during most of the year. Channon said the FIFA team's shared pool split depending on each platform's specific focus. FIFA 14 had a PlayStation 2 version in Europe this year, but that version was "not a focus for innovation," and received mostly statistic and team updates. 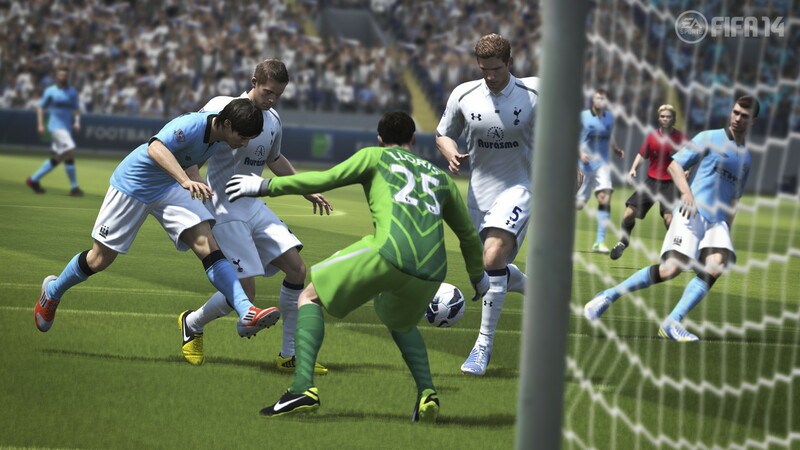 While the PS3 and Xbox 360 versions of FIFA benefitted from a "significant team," the primary focus for the next-gen team was to ensure that the main game and features all translated to the new platforms. "The challenge of making a game on a new platform is that the games are being made whilst the platforms are being made," said Channon. "360 and PS3 we treat very similar, next-gen is very similar. It's really about the nuances of those platforms." "Previously when we did this transition, our games weren't fully-featured," he continued. "This time, all the major features were moved from Gen 3 to Gen 4. The innovation was all around visuals, gameplay, and presentation. We had various areas of our team focusing specifically on that. It's basically looking at the different platforms; where the strengths are, where the opportunities are." "That was a lesson we learned from the previous transition," said Graddy. "We then looked at the hardware and said, 'what else can we do with this hardware that we couldn't do before?'" So that begs the question: what can these teams do with the power of the PlayStation 4 and Xbox One? Is it all just down to better graphics? Graddy told us that the Madden team used the power to push the simulation closer towards reality with True Step physics, momentum, and better AI for the linemen; all things not possible on current gen. The FIFA team added the new 3D crowds, which Channon said gives the game "an emotional and atmospheric change that we couldn't achieve until this year." 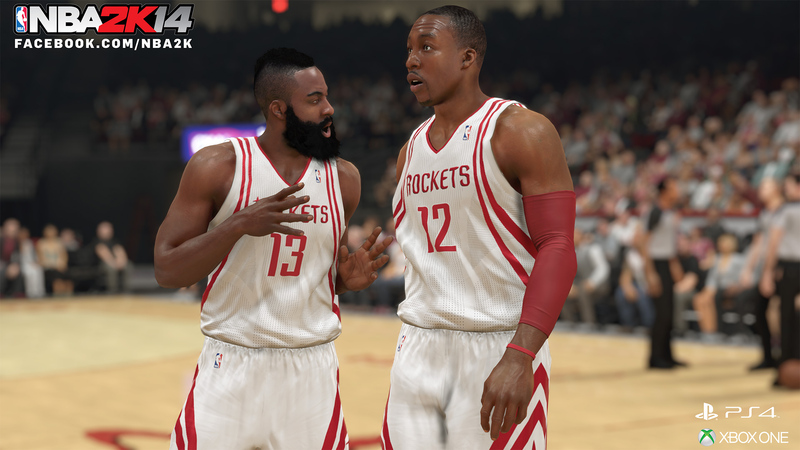 But for the NBA 2K14 team, pushing realism with next-gen means engaging players' emotions. "I think we've been able to make the players display human emotion, something we've never been able to do"
"The ability to deliver emotion is something that I don't think has ever really been seen in sports video games," said Jones. "The emotion in sports games has normally been between the two guys who are sitting on the couch going at each other and not the game itself. Whereas playing a game like Resident Evil, there's moments of tension that you feel in the game. I think we've been able to make the players display human emotion, something we've never been able to do. The thing that jumps at you is that they're human and tangible. That's what feels brand-new to me." "To say that the two versions are just a change in graphics would be doing the game a disservice," he added. This year is also the first year of EA's new Ignite platform, which Graddy called a "shared suite of technologies" across the entire EA Sports label. The Madden, FIFA, and NBA Live teams shared their new technologies and development efforts to smooth out the road to launch. "It's about looking at the best-in-class ideas as we transition to the new hardware and not rebuilding them in one-off ways across the teams," said Graddy. "We were all rebuilding our games for this transition. Rather than reinvent the wheel, we've been getting together and saying, 'hey, what are you guys doing? what are the best technologies that you have? 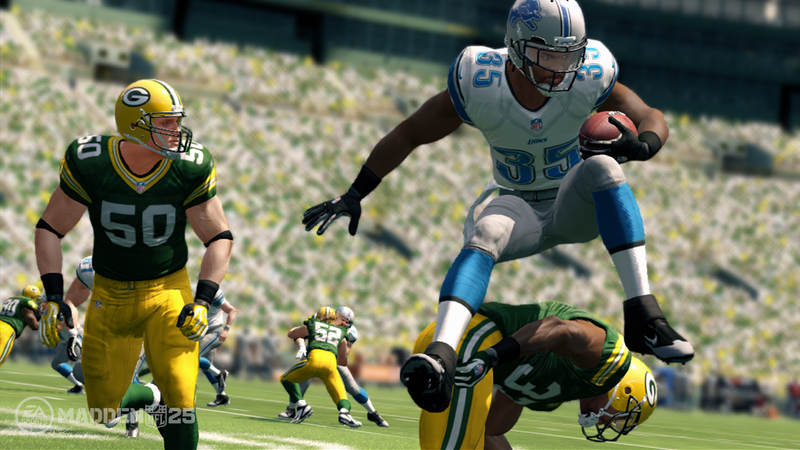 How can we leverage those across the entire EA Sports label?'" "It's certainly made getting up to speed as a label easier, with the sharing of technologies," agreed Channon. "Not only do we have parity in terms of core features that we haven't had before, but we've been able to innovate significantly on top of that. We're doing things in physics that we just couldn't do before. Having our tools and engine ready to go has made it a very different transition this time around." The PlayStation 4 and Xbox One have both had a decent start so far, but when Madden 25, FIFA 14, and NBA 2K14 were in development, there was little way to know if the cost of development would turn into actual sales. Despite that, all three gentlemen are big believers in the new consoles and their launch efforts on those systems. "Even though their install base [starts at] zero, historically people abandon their current-gen systems quickly enough that you need to have a strong foothold in the coming system. You need to put your best foot forward the first time. You don't get a second chance to make a first impression," said Jones. "For the future of our business, Gen 4 is going to play a very big part in that"
"I've seen a lot of games being previewed. My thought is that NBA 2K14 on next-gen is the showcase piece for the next-generation systems. That's what it feels like to me. If you're going out to buy a Resistance-type game, that might not be your cup of tea. But if you were to pick your top three games on next-gen, NBA 2K14 is one of those top three." "For the future of our business, Gen 4 is going to play a very big part in that," said Channon. "As a FIFA team we're incredibly happy with the game that we've created. It's the strongest start that we've had to a new console cycle. We feel that's very important. In this business, being able to bring your game to a new console, there aren't many better things you can do. For us, it's very important that we make a great base for this year and give our consumers the very best experience that we can on the new consoles. That helps set us up for the future."